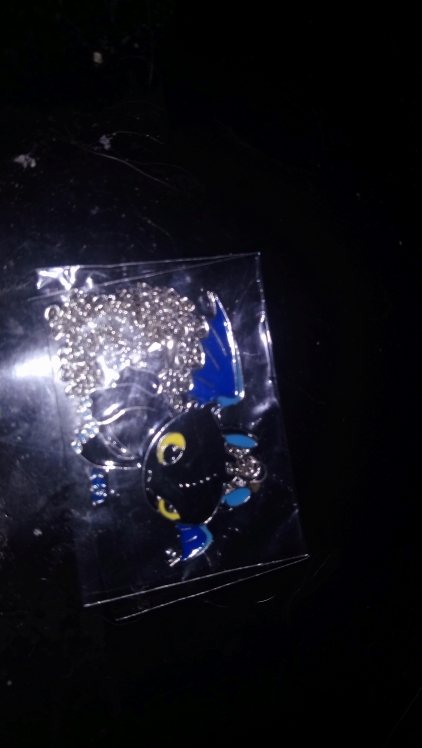 From Feimeng Jewelry comes this cute, Toothless themed dragon pendant / necklace based on the film, "How to Train your Dragon." Ideal for casual occasions such as parties, cosplay, everyday wear, etc. The pendant is made from zinc alloy and is attached to a 50cm chain resulting in a lovely pendant. An excellent gift for fans of the films and tv series and for those who simply love cute dragons.